Minnesota contained the northeastern edge of a tall grass prairie that covered 400,000 square miles of North America. Today less than 1% remains. Of the 160 acres which are now part of the Jeffers Petroglyphs site, 33 acres are native (virgin, never plowed) prairie, 47 acres are one of the first prairie restorations in Minnesota, and the newest 80 acres will become restored prairie as well. Like all prairies, it is a mixture of forbs (flowering plants) and grasses. Over 100 species of prairie plants are found here, including some that are are very rare. Prairie Bush Clover, a very endangered plant, thrives at the Jeffers Petroglyphs. It grows only in Minnesota, Iowa, Wisconsin and Illinois, and currently the largest single population in the world grows here. This grassland is unique in other ways. Prairies are normally classified as wet, mesic, or dry. Because of the rock formation, all three types are found here. Wet prairies have considerable water in the soil, dry prairies have little soil water, and mesic prairies are in between. Because the soil is so shallow near the rock outcropping, it dries out quickly, creating a perfect environment for plants adapted for the dry plains of the American West. 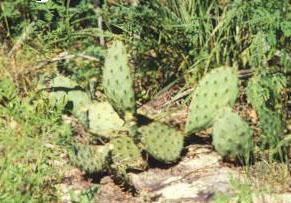 Here you will find prickly pear cactus, buffalo grass, and little blue stem. 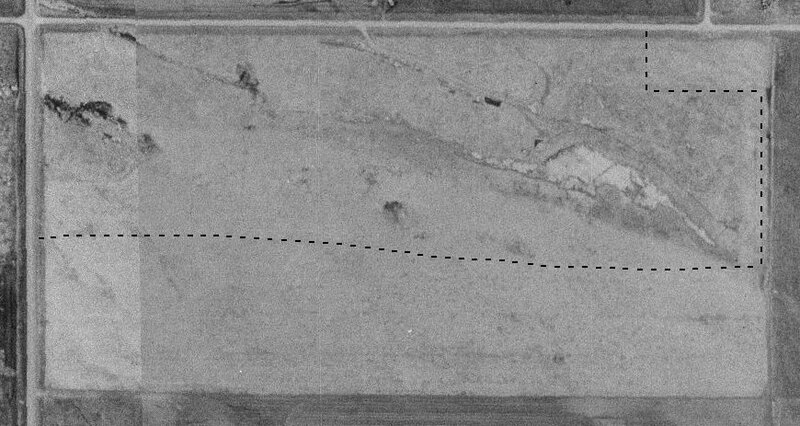 Because the rock face sheds water and concentrates it into a single area, you will also find a wet prairie environment dominated by cordgrass and sedge. However, the prairie at Jeffers is primarily a mesic prairie ruled by big blue stem and Indian grass that grows up to 8 feet in height. Minnesota's prairies have provided food for humans and animals for thousands of years. Prairies, humans, and bison adapted to this area together. The North American prairies developed during the dry periods after the last glaciers receded 9,000 years ago. Prairies need hot, windy, and relatively dry weather to thrive. Bison needed prairie grass. Humans needed prairies and bison for food, tools, clothing and shelter. But bison and prairies also needed man. As the climate of Minnesota changed over the millenia from hot and dry to cool and wet, trees started to move into the area. Trees will replace prairie grasses if sufficient water is found in the soil. But early humans used to burn off the prairie for the benefit of the bison. This not only kept the trees from getting established (except around lakes and streams), thus preserving the bison's range, but also burned off older, dead grasses, allowing new growth to start. New grass was a favorite of the bison's, which made sure they would return. Prairies also provided American Indians with foods such as prairie turnips, grass seeds, and rose hips. These same foods were eaten by European settlers of the nineteenth century. In this century, prairies produced hay to fatten cattle, milk weed pods for human food during the droughts of the 1930s and milkweed seeds for life preserver down during World War Two. If you'd like to visit other prairies in the area, there is a listing on our Other Sites page.